I was listening to a cover of Taylor Swift's song, Safe and Sound, while I was editing these photos and thought, "Hmmm... that would make the perfect title for this post!" I think the arching vines and fallen petals have something to do with the haven-like appeal this little spot has. There's no question that I will be going back to this place. I don't think I've looked any more relaxed in photos than I do in these. I do pretty badly in the relaxing department, to be quite honest. I am always looking to find ways to occupy (or stress?) myself. But it is important to find those rare moments of serenity, because it will put you on a good balance. 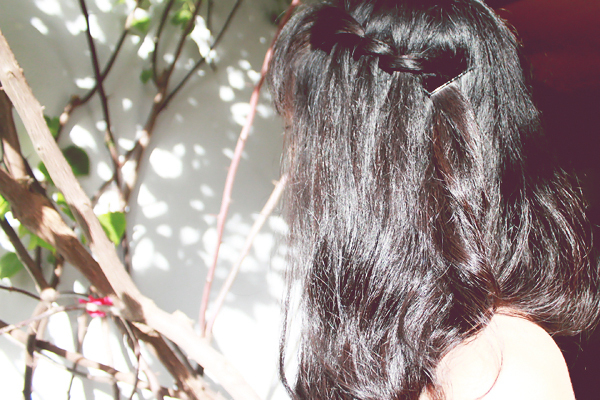 Practicing my hair-twisting skills, I decided to do a waterfall braid to go with this look. If you want me to teach you how, just let me know in the comments below or tweet me. 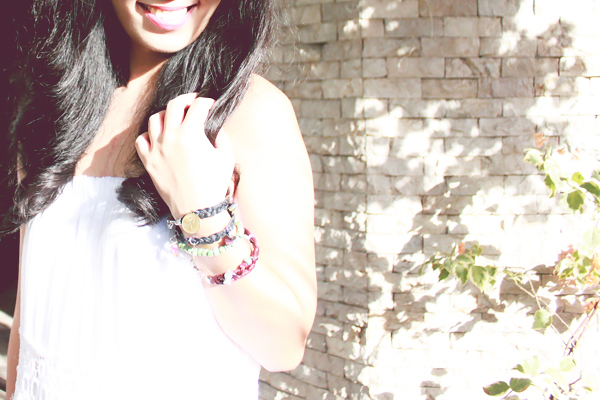 And if you fell head over heels for the bracelets (as I did), you can get them online over at Simone's Closet. I do believe they come in sets, and if you get two sets, you get a freebie, too. Pretty pictures! Is this at your house? That dress is gorgeous !!! Love everything about this outfit. 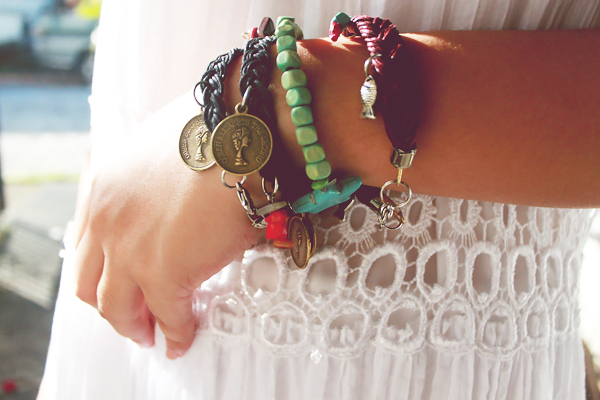 Your dress, those curls, bracelets. Yup, everything looks safe and sound over there! 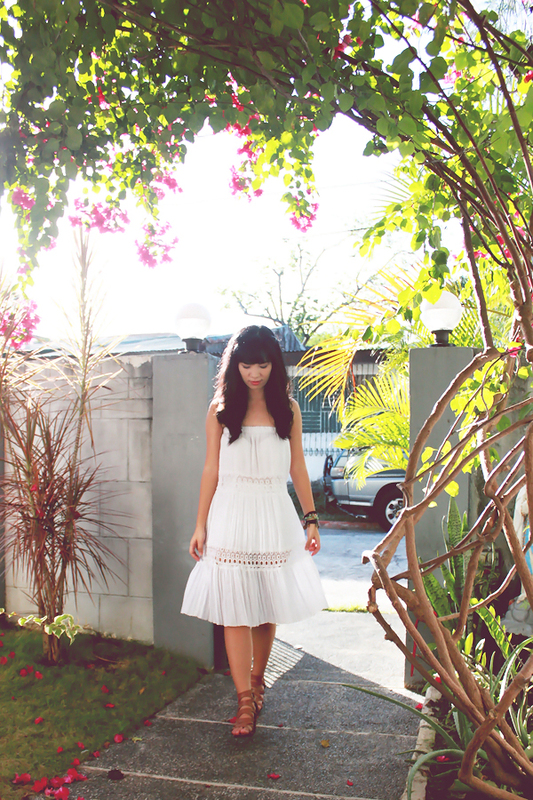 These are such whimsical and pretty photos!! 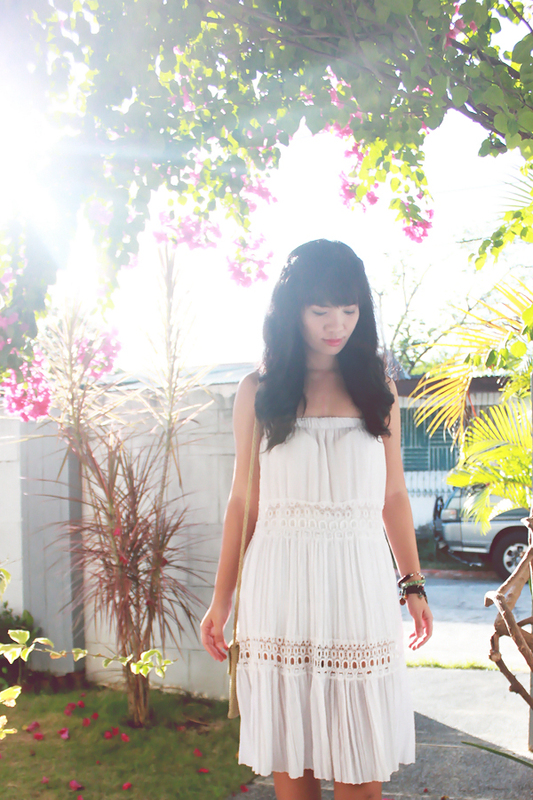 Love the dress, very Springy! Carinissimo sia il vestito che i bracciali (; Reb, xoxo.